I love bread, all sorts of bread. I could never, ever go on a no carb anything. I have always wanted to make fresh bread but I have always been a little daunted so I was very happy to come across this recipe that involves no yeast and all the complexities that entails. 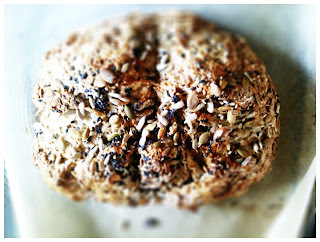 This one takes 10 minutes, you pop it in the oven for 35-40 minutes and there you have it delicious homemade soda bread. Soda bread: a type of quick bread in which baking soda is used as a raising agent rather than the more common yeast. 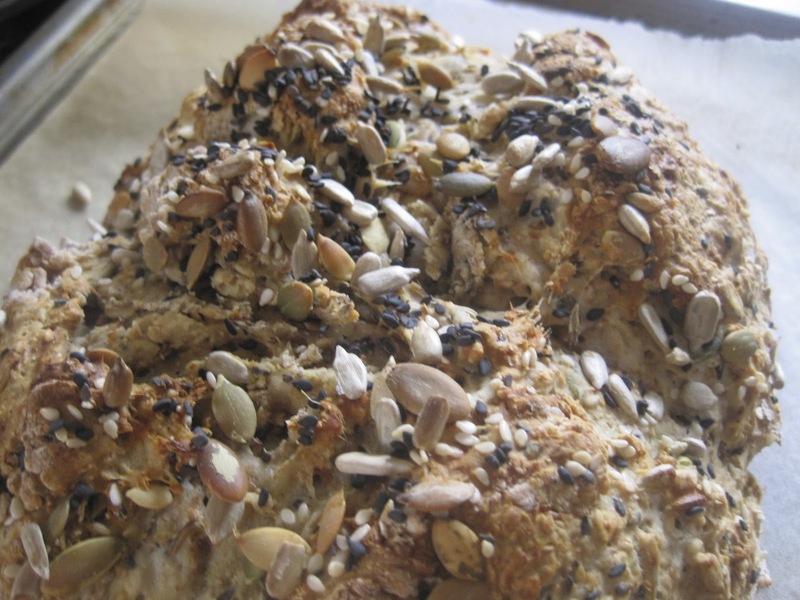 The ingredients of traditional soda bread are flour, bread soda, salt, and buttermilk. The buttermilk in the dough contains lactic acid, which reacts with the baking soda to form tiny bubbles of carbon dioxide. In Ireland, the flour is typically made from soft wheat. It has a rounded shape and has a cross cut in the top to allow the bread to expand and give a great crust. I started off at David Lebovitz he had just returned to Paris from Ireland and was craving some Irish soda bread. It look delicious and was, apparently, all so quick and easy. Then down at the bottom were links to other soda bread recipes and a "seedy" caught my eye as I do love seedy, grain filled bread. It was also from 101 Cookbooks another favourite food blog of mine, you can check it out here. Highly recommend it! 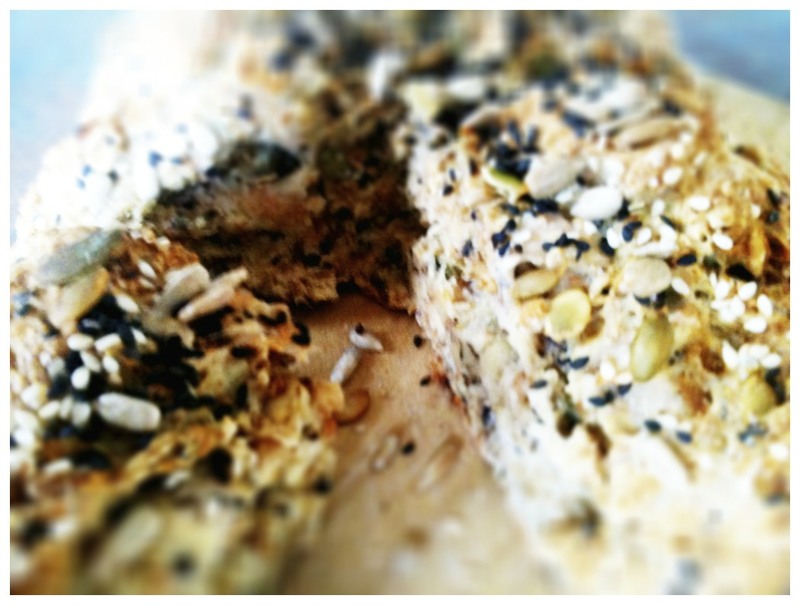 The seedy brown loaf was just too tempting not to give it a try as it just looked amazing. It came to 101 Cookbooks via Hugh Fearnley-Whittingstall at River Cottage. So here it is with minimal tweaking as I couldn't find any spelt flour at the local supermarket and settled for wholemeal flour I had in the pantry. 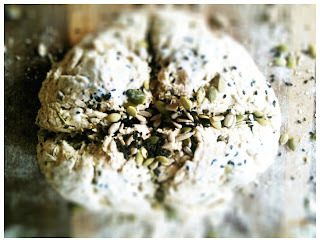 Would like to try it with spelt so must keep an eye for some spelt flour. As for the seeds feel free to make up your own mixture with what you like or what you have in the pantry. I added caraway seeds as I love the flavour, just a teaspoon as they are quite pungent. Not to everyones taste but if you like them add them in. Ingredients Makes a single loaf. 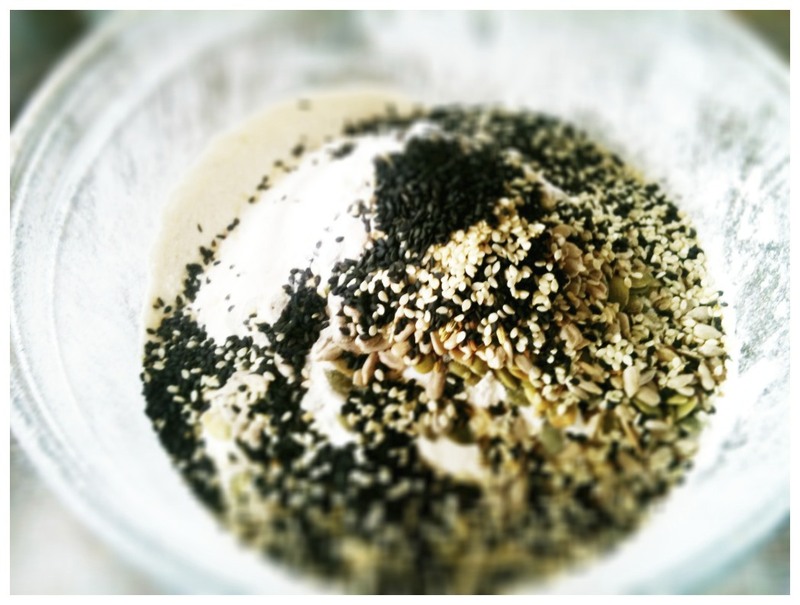 2 1/2 tablespoons EACH sunflower seeds, pumpkin seeds, sesame seeds,poppy seeds, flax seeds - I replaced the flax seeds with a teaspoon of caraway and I also used black and white sesame seeds. 1 3/4 cup / 9 oz / 250 g spelt flour - I used wholemeal. One is meant to let it cool but that was never going to happen. Seriously who can go past fresh baked bread slathered in butter? 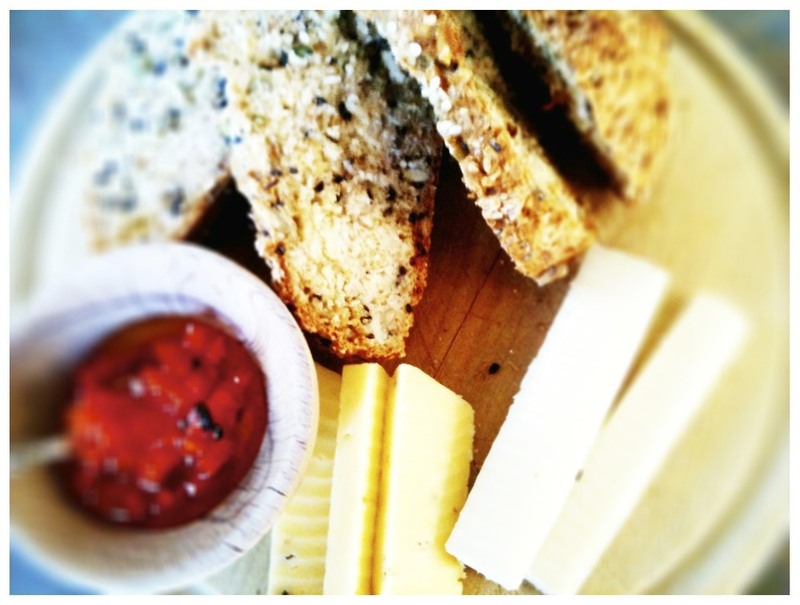 So that is lunch sorted with a little cheese and some carrot and cardamom jam made with my recent glut of carrots. (That recipe up soon). This was delicious, full of flavour and texture with all those lovely seeds. Slathered with butter it is one of life's simple pleasures. Can't see this loaf lasting long. This recipe most definitely likely to see regular outings, quick, easy and seriously delicious.